It’s the last day of term for J today and we’ve been busy making homemade gifts for his teachers. It’s something we always did with my mum as kids and I think it helps get everyone in the Christmas spirit, as well as showing an extra bit of thought and effort. 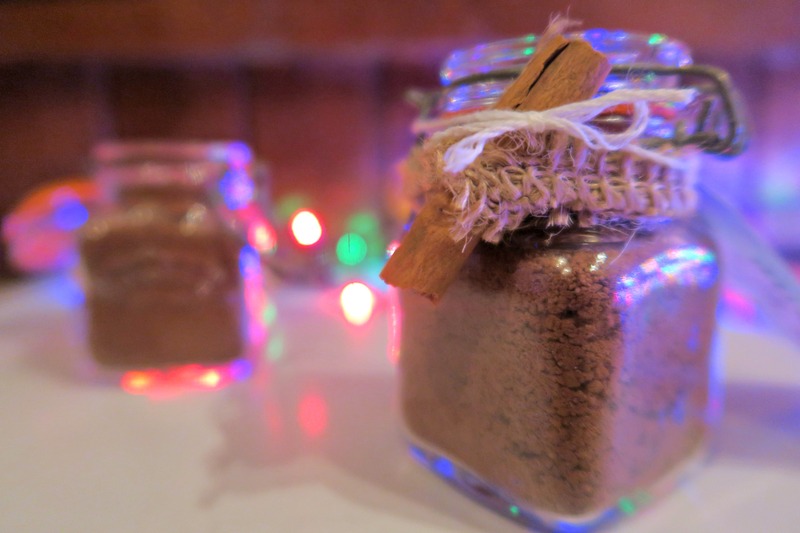 This year, we have been making some lovely jars of cinnamon hot chocolate mix. This simple recipe will keep people warm on these icy winter days. Just add your choice of warm milk and it’s ready to go! 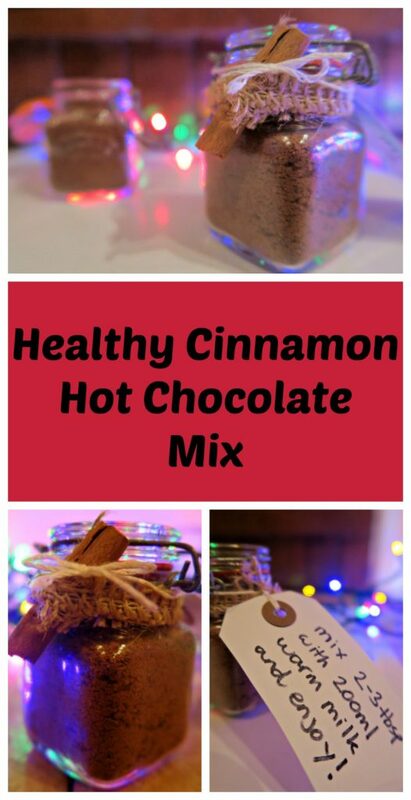 It’s healthy, low in sugar, and perfect for all the family to enjoy after a wintery walk or as an evening tipple with a dash of Baileys. If you have just one teaspoon of sugar in your tea and four cups a day, that means you’re consuming 23,000 calories in a year, just from tea! There are only 2 calories per teaspoon of Splenda versus 16 calories for granulated sugar or 0 calories for a Splenda pellet! We also sampled a range of sweet treats made with Splenda and I have to admit I was amazed at how good they tasted. You would never guess they weren’t made with sugar and there are lots of allergy friendly recipes on their website. A few of my favourites are Rasberry Cookies, Pomegranate fizz and Chocolate coconut truffles. Splenda is so easy to use, you just replace it like for like. You need to do this by volume (so 1tbsp for 1tbsp) not weight as it is so light the box actually feels empty! You may need to add more liquid when baking as it is more absorbent than sugar. Although I’m not one for going completely sugar free as I believe in everything in moderation, I am definitely conscious of our sugar intake and was fascinated by how a few small changes can make a big difference to our waistlines and teeth, as well as stabalising our energy levels. It’s easy for sugars to add up in our diet, especially in drinks as we tend to forget about them. And over Christmas we are already indulging in a lot more sugary treats and desserts than usual. 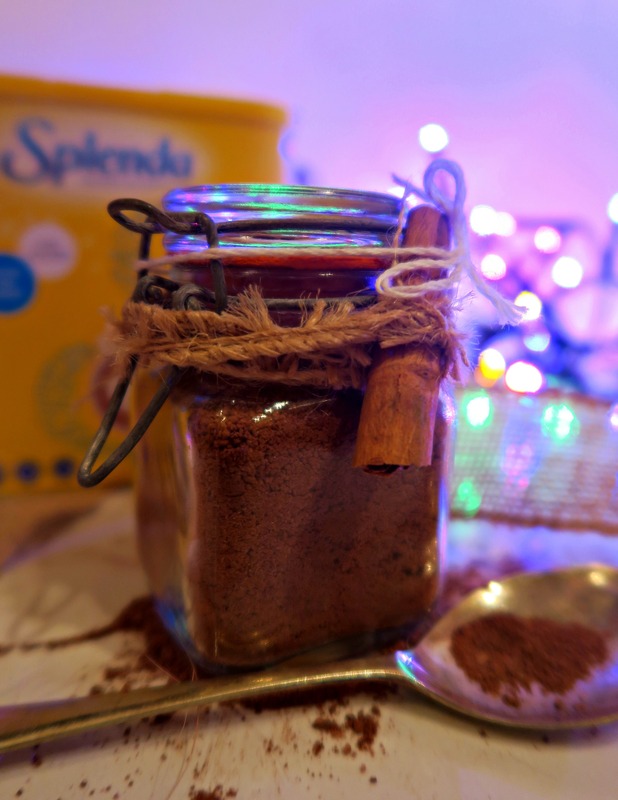 So that’s why I wanted to make this healthy, dairy free and low sugar cinnamon hot chocolate. It’s so warming and delicious – and you can enjoy it guilt free! Mix together all the ingredients. 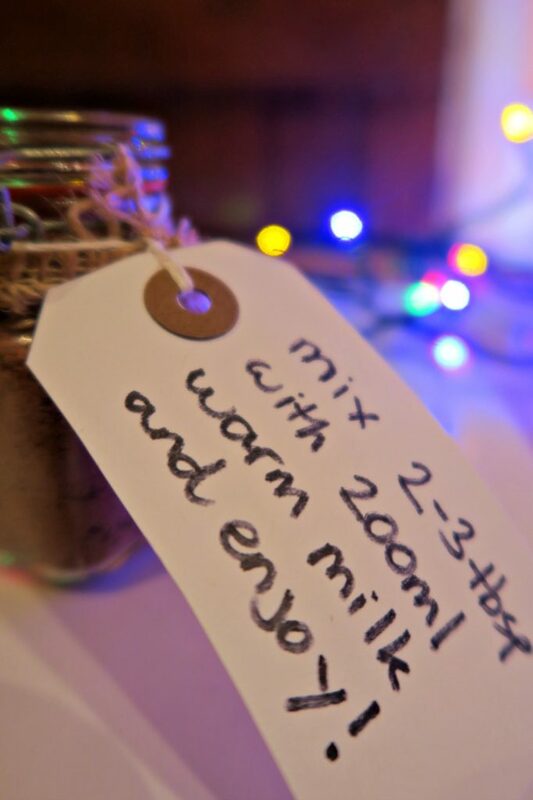 Add 2-3tbsp to a 200ml warm milk and enjoy! Diclosure: This post is sponsored by Splenda. All photos and opinions are my own.